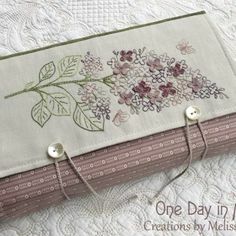 A beautifully presented set of A5 sized booklets with full-colour covers, full-sized pattern sheets, and an abundance of illustrative photos and diagrams. 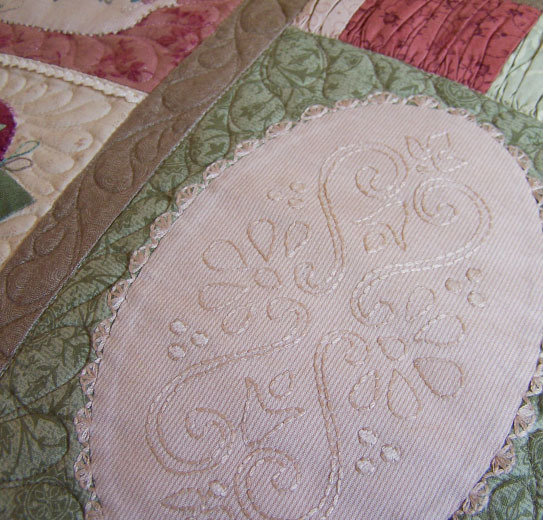 The reader will discover a pattern that is easy to follow, with clear, concise, step-by-step instructions. 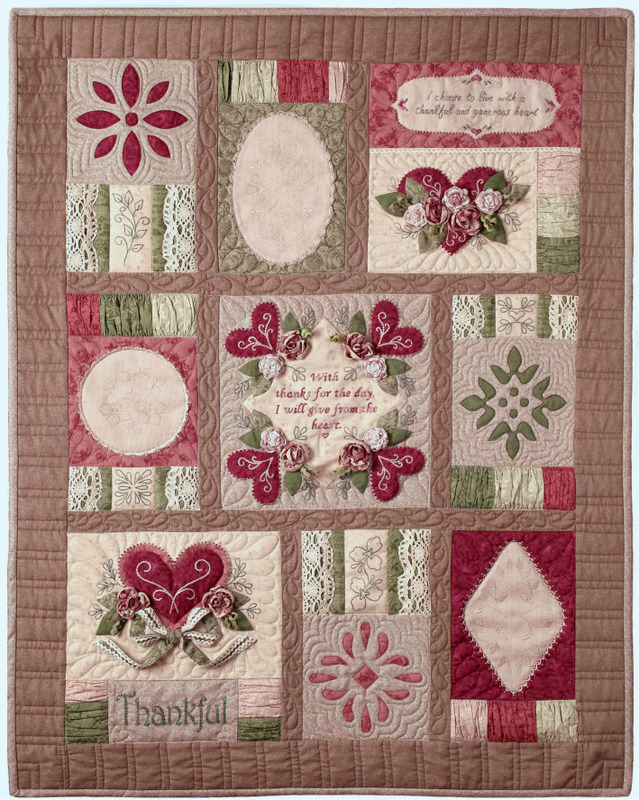 Thankful – Block 1 gives instructions for creating the central panel of the quilt. 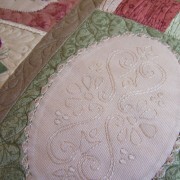 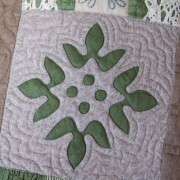 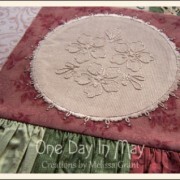 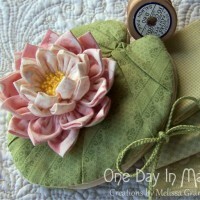 Full instructions for using the block to create a 12” cushion edged in binding are also given. 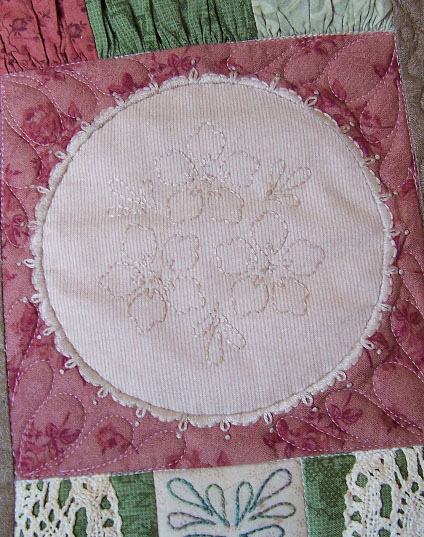 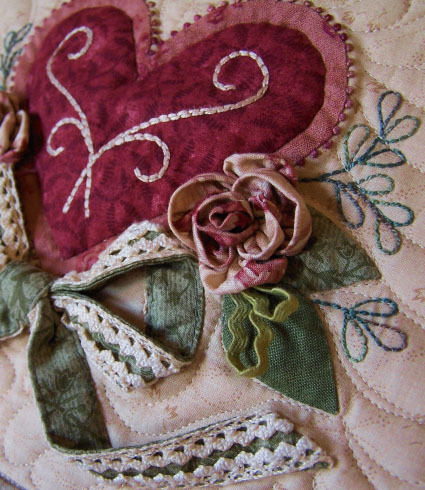 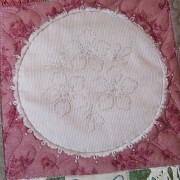 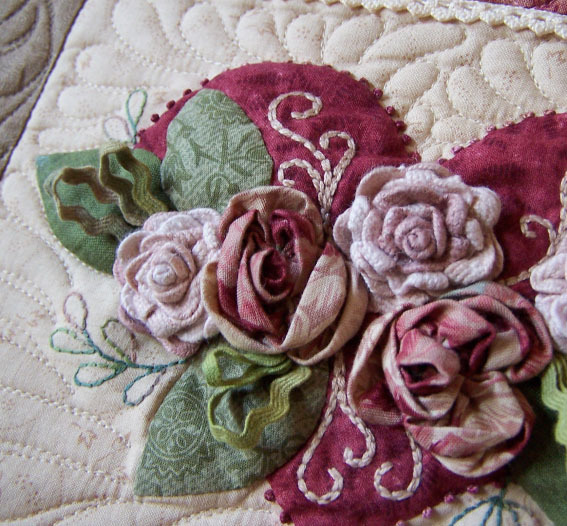 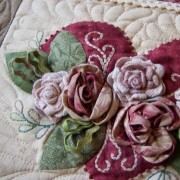 Also included in Block 1 is a comprehensive “Technique Booklet” with photographic instructions for needleturn appliqué, reverse appliqué, embroidered appliqué, fabric roses, ric-rac loops, ric-rac roses, lace-covered panels, ruched panels and a guide for trimming a block with dimensional features. 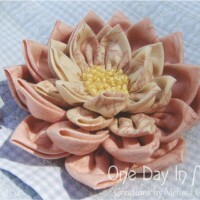 Block 1 is also available for individual purchase for those customers who’d like to learn the techniques shown in the “Technique Booklet”, but would prefer a smaller project. 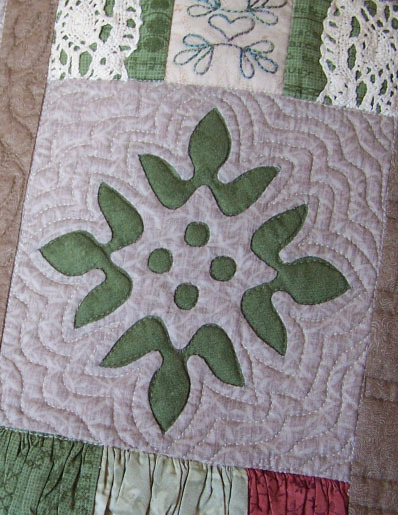 Blocks 2-6 include the patterns and layout for the remaining blocks, with illustrated application of the dimensional techniques given in Block 1. 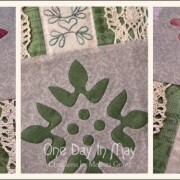 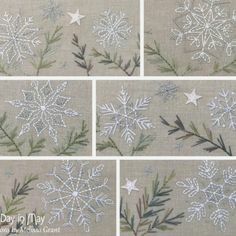 A full set of 6 patterns featuring a wide variety of dimensional techniques. 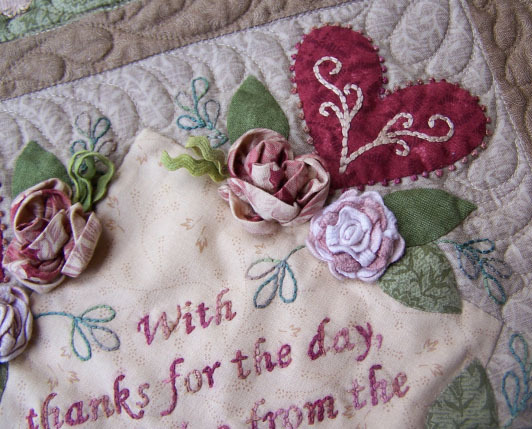 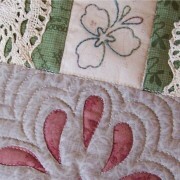 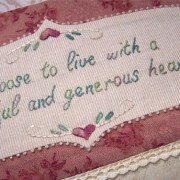 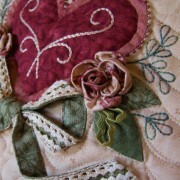 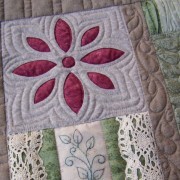 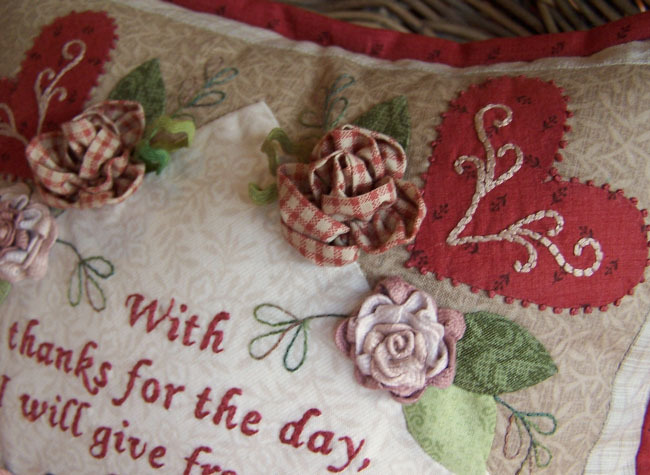 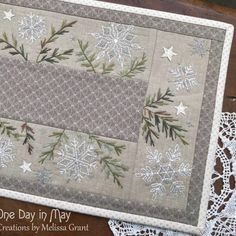 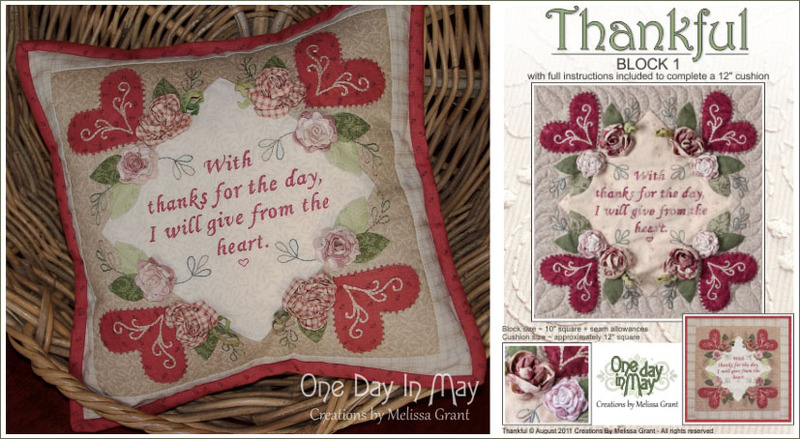 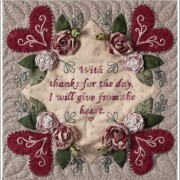 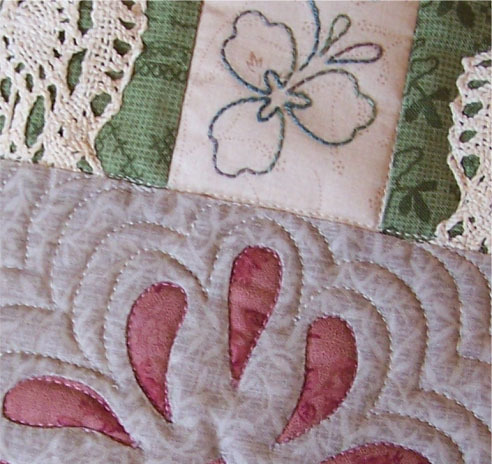 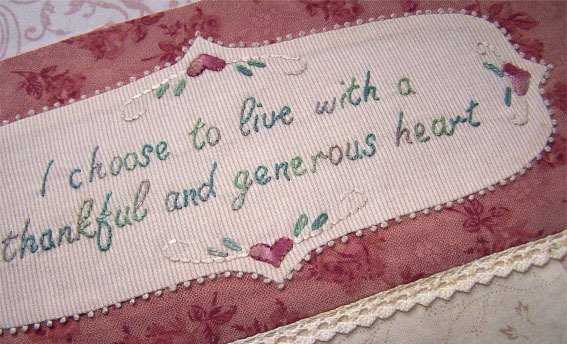 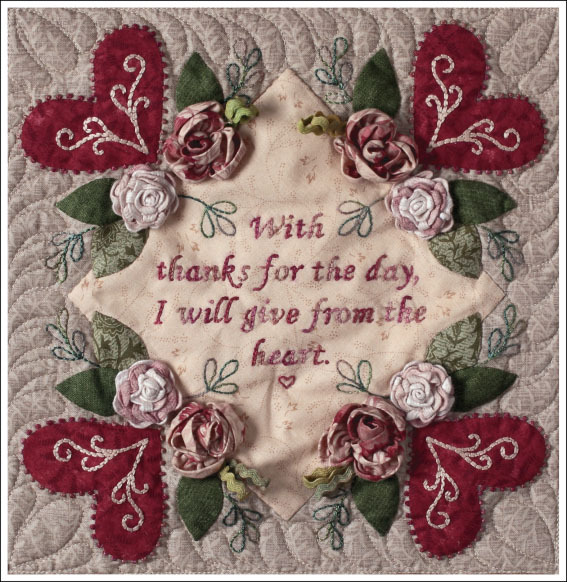 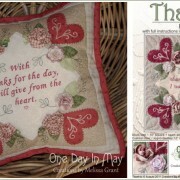 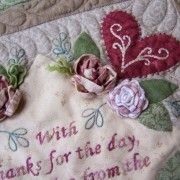 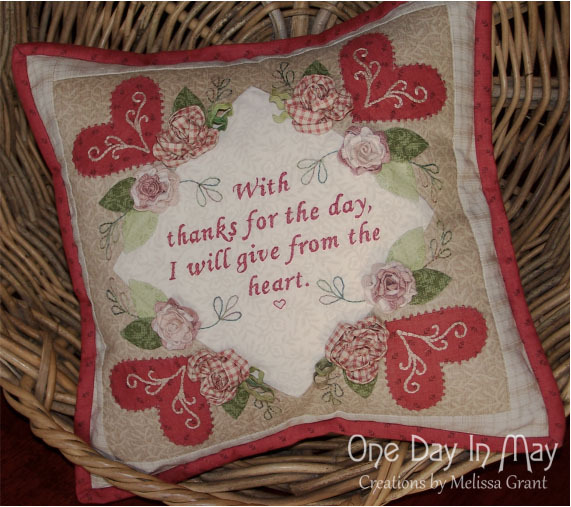 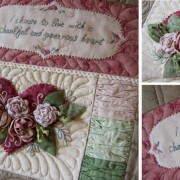 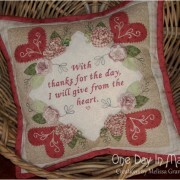 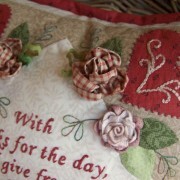 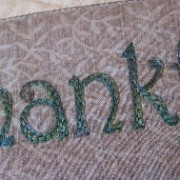 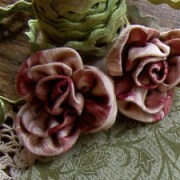 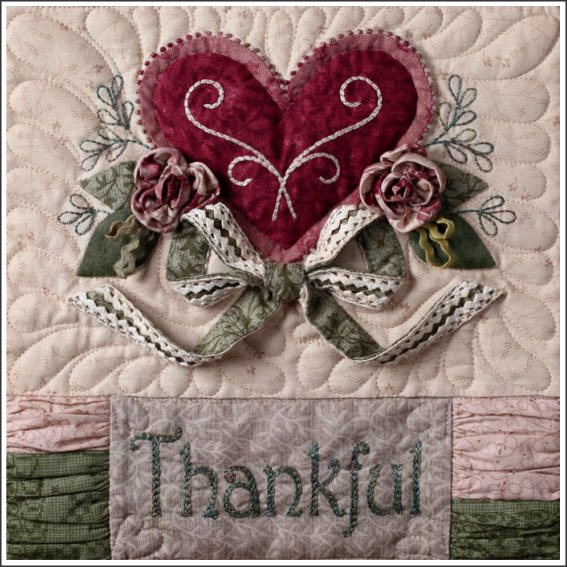 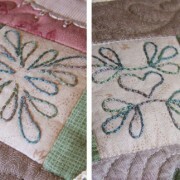 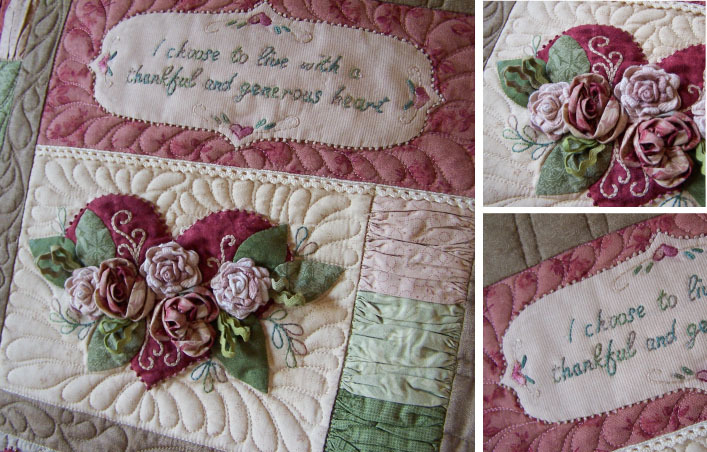 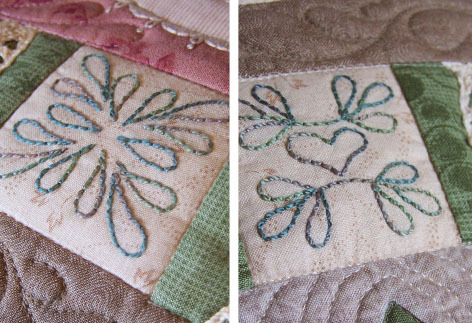 “Thankful” will delight those who love hand-stitching and dimensional needlework. 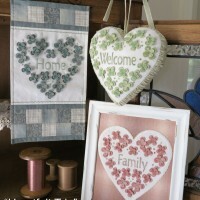 Looking for something a little different to stitch? 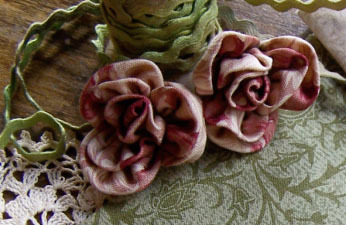 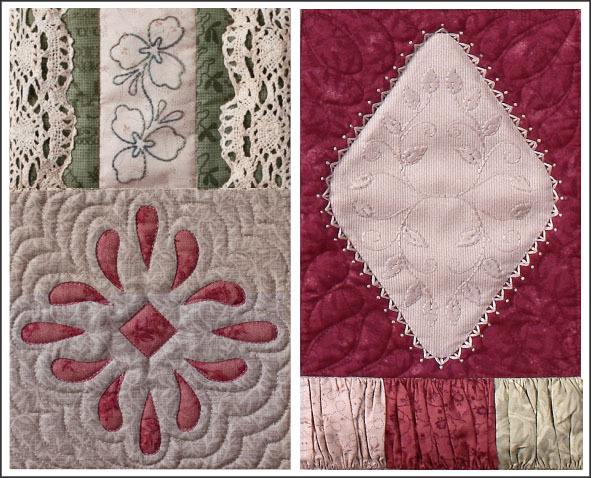 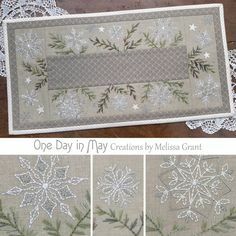 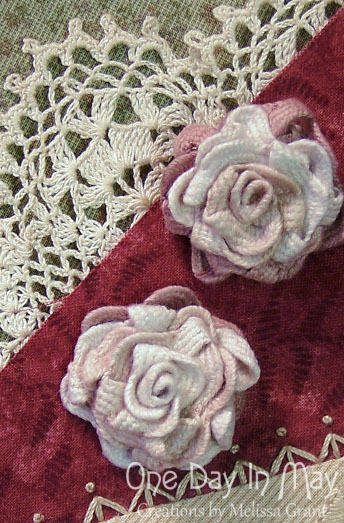 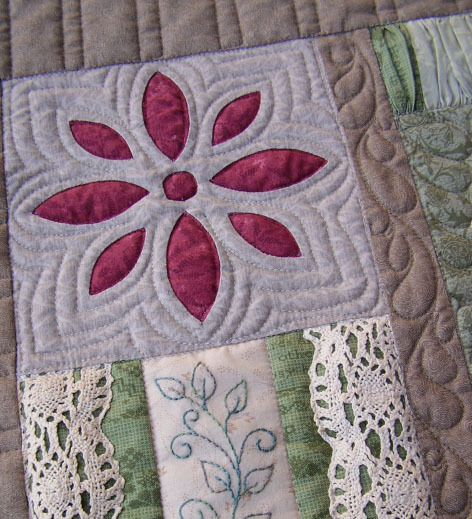 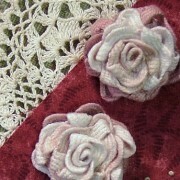 How about appliquéd “faux doilies”, ric-rac roses, small fabric roses, embroidered appliqué, reverse appliqué, gathered panels, lace-covered panels, and a dimensional bow? 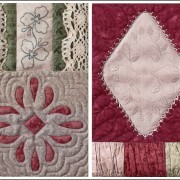 Once learned, these techniques and features can be used and applied to your own designs and projects.